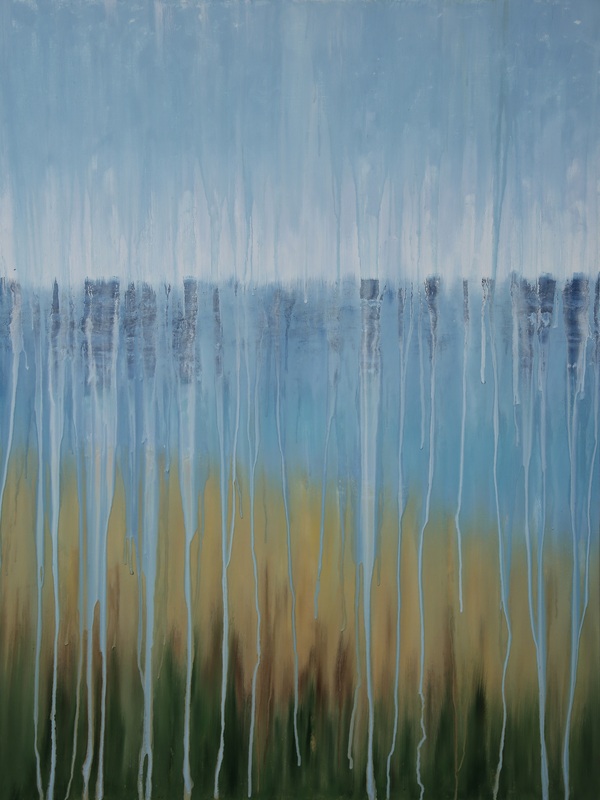 [SOLD] ©Rachel Brask, Rainy Moment 07 (Beach Dreams). Oil on canvas, 40″x30″. In creating this painting, the artist couldn’t escape the gentle sounds of the ocean and rain blending together, ebbing and flowing as the waves in the rain at the beach. Fun fact: this painting was inspired by a photo of a beach in Jamestown, RI taken by the artist’s husband.